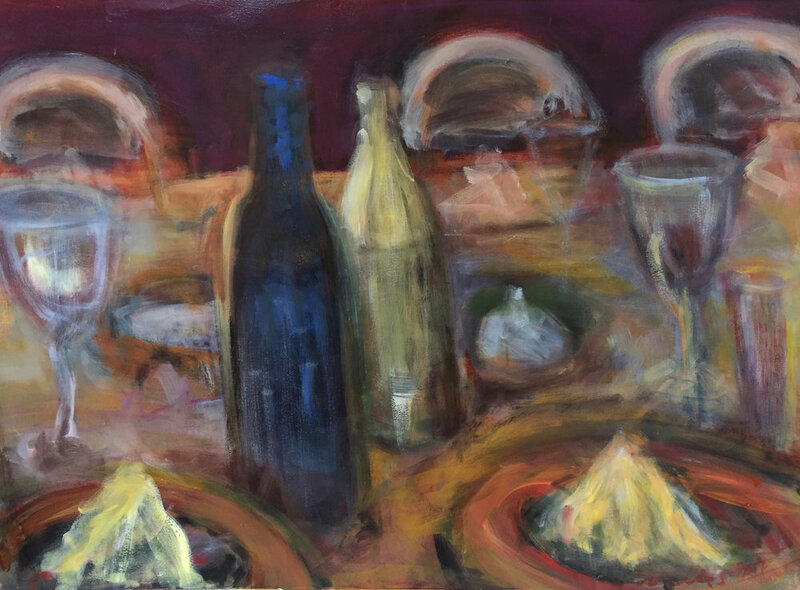 "For most of my artistic life, I supported my studio practice with work in the hospitality industry. This, coupled with a personal history of entertaining has provided me with great resources. The perspective of looking at events from the inside out has influenced the point of view of my work. Often what is in between the objects on a dinner table has the most meaning: a dismissive remark or a lingering glance through the glow of candlelight. I am interested in the stories we come to the table with, take or hold beneath the surface."